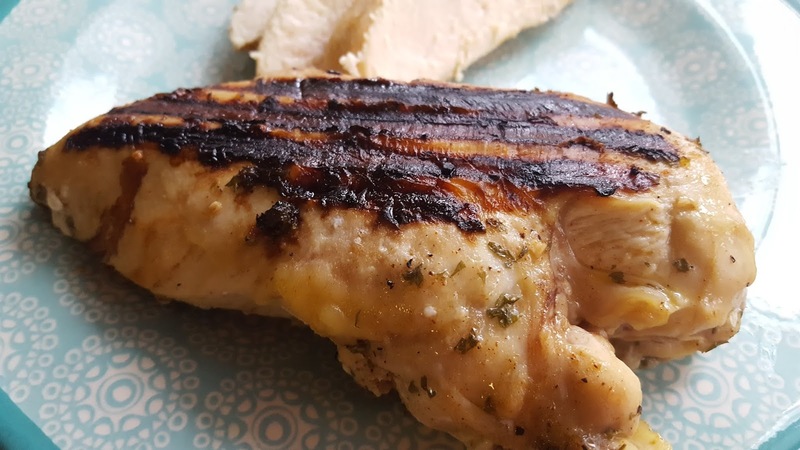 I wanted to have some grilled chicken on hand for quick and easy salads this week, and found this delicious recipe to try out. The smoked paprika lends a wonderful aroma to the blended marinade! I allowed my chicken to sit in the marinade for about 2 days (they were fairly thick boneless skinless chicken breasts) and we were so pleased with the end result! The meat was so tender, and the flavor infused beautifully into the meat. Subtle but noticeable, which is what I'm looking for in a chicken marinade. This chicken is delicious as is, or served sliced over your favorite bed of greens and veggies with your preferred dressing. 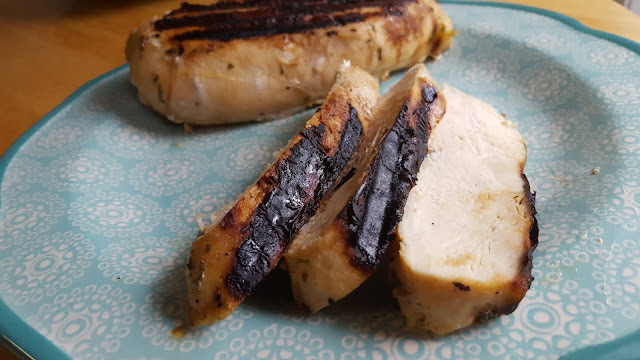 I grilled these in my favorite, trusty, Cuisinart Griddler which I have finally decided to retire and replace after many years of faithful service. I love this appliance. We use it for pancakes, french toast, camping, and year round grilling made easy. I have plenty of kitchen gadgets that mostly collect dust, this is one of the "regulars" though that I have definitely gotten my money's worth out of. I am very much looking forward to warmer weather and being able to use the "real" grill out on the patio though! And, while I am currently shivering at the thought of going outside, grateful for an alternate grilling method for the cold months of the year! In a 4-cup measuring container or small/medium sized bowl, combine all marinade ingredients and whisk together vigorously until well combined and creamy in appearance. In a tupperware or ziploc bag, pour marinade over chicken and allow to marinade at least 8 hours before cooking / grilling / baking as desired. 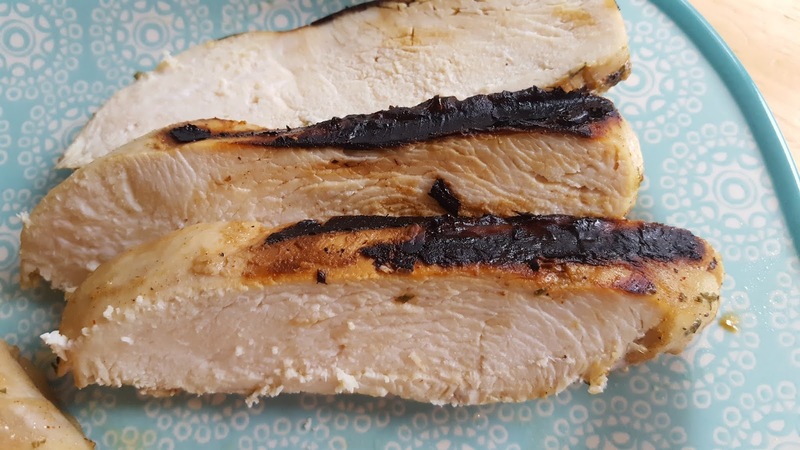 (I left mine in for 2 days, and the texture and flavor of the chicken was super tender, moist, and perfectly flavorful - so longer can be better with this one!) Discard any leftover marinade. Note: This makes a fairly large batch of marinade - I used this for about 3lbs of chicken and think it would have worked well for 5-6 lbs of chicken. Try to shake or rotate the bag / tupperware every 4-8 hours to redistribute the marinade around the chicken when it's in the refrigerator.